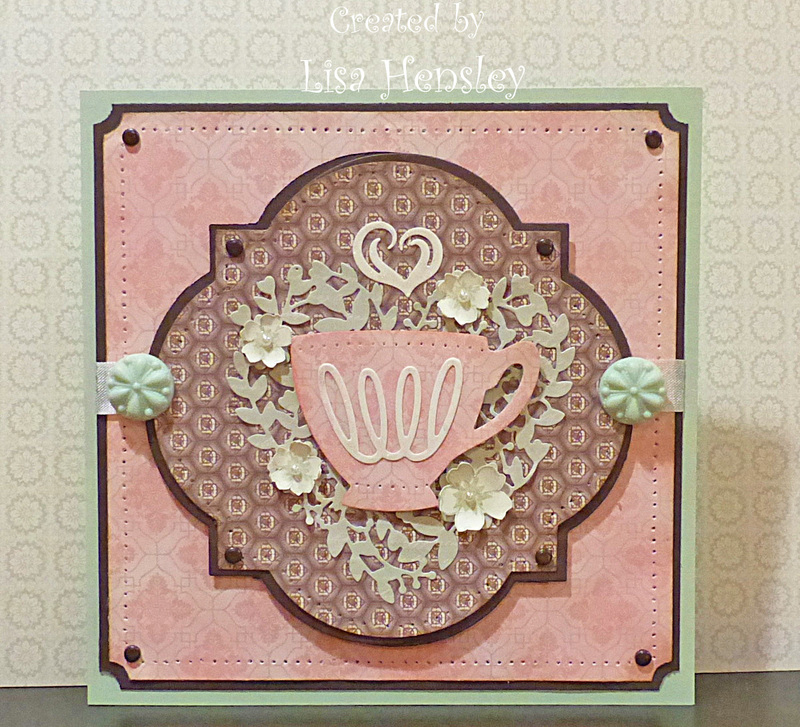 The Shabby Stamper: Thinlits, thinlits! This started with a pretty basic image -- a plain teacup. I didn't want to go cute, I wanted more vintage, so I thought to cut the teacup out of one of my favorite dsp's -- Venetian Romance -- to give the more vintage look. The Bloomin' Hearts thinlit is also cut from Venetian Romance, but the Pistachio Pudding/Vanilla script pattern. The flowers were stamped with Pistachio Pudding on Vanill, then fussy cut, the centers painted over with Wink of Stella, then a pearl put in the center of each. The detail on the cup and the "steam" were also painted over with Wink of Stella. Great art work! This is just gorgeous.